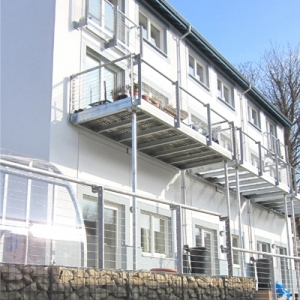 Forgebank, run by Lancaster Cohousing, is a carbon neutral eco-cohousing development consisting of 41 certified private passive houses with communal facilities, low carbon workspace and a riverside woodland habitat. Its vision is to be cutting edge example of sustainable design and living / acting as a catalyst and inspiration for significant improvements in the sustainability of new development. It combines sustainable building techniques, energy saving technologies, renewable energy generation, and peer support for behaviour change. As well as being an extraordinary place to live, it aims to show that living sustainably need not be a hair shirt experience, but can be comfortable, affordable and fun. 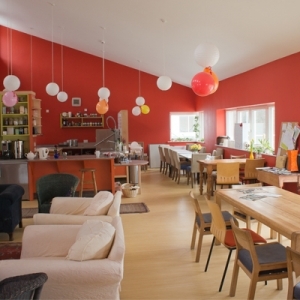 Cohousing combines the advantages of private homes with communal facilities. Forgebank includes: a Common House for regular communal meals and gatherings; a shared laundry; shared guest rooms; children’s room; bike shed; community shop and workspace. It is designed to encourage casual social interaction, with 1-3 bed homes clustered around a pedestrian street. The homes are at the cutting edge of sustainable design meeting Passivhaus standard, AECB Gold Standard and Code for Sustainable Homes Level Six. Their construction added only a 10% premium on the cost of traditionally built homes, but were sold at the market value due to savings in Stamp Duty & sharing recourses. The £8.2m development was led by the residents, working collaboratively with architect Eco Arc through a participative design process. It was constructed by a local traditional builder, guided by specialists. 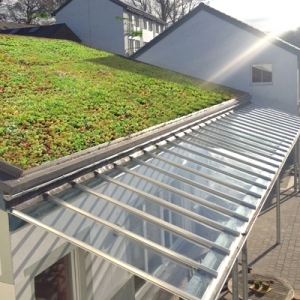 This developed new skills in the local workforce and demonstrated that eco-building could be replicated on a wide scale. The development includes industrial buildings, refurbished for energy efficiency, including Halton Mill, a low carbon workspace, which now has an A rating energy performance certificate. 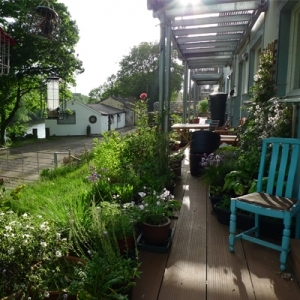 It has become a hub of small businesses, social enterprises, freelancers, artists and crafts people, creating employment and a collaborative working environment for local people and cohousing residents. Heating and hot water use is about 15% that of average homes, and comes from a district heating system powered by a single biomass boiler, run on local woodchip. Energy efficient appliances and lighting reduce electricity use to about 30% of average. Electricity is generated from two community energy schemes: a 89 kWp array of solar PV panels and a 160 kW hydro electric scheme owned by Halton Lune Hydro, a joint initiative between the local community centre, Lancaster Cohousing and LESS, a sustainability cooperative. The development was built with only 17 private car spaces: there is a car club, including two electric cars, a shared mobility scooter and bike repair workshop. The project is fulfilling its ambition to be an exemplar of sustainable development and living in various ways. 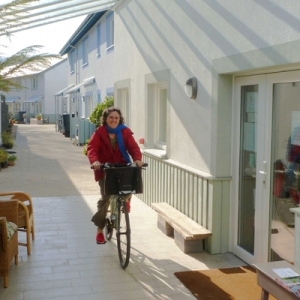 It supports developing cohousing projects – there are now 75 in the UK – providing advice, documentation and a chance to experience community living. It runs monthly tours (often with the Hydro and Halton Mill) and many more on request – for students, professionals, individuals, policy makers. It has collaborated with three university research projects on sustainable building/living. Its residents write, a blog and give presentations promoting the challenges and joys of sustainable living. The 3 video links below may be of interest re the Lancaster Passive House Project for 41 homes code for sustainable homes at level 6 ( i.e. carbon neutral community housing project. 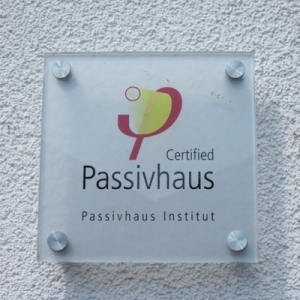 This 3 minute video was presented to the International Passive House Conference in Germany where it was a finalist in the international passive house awards, having previously won the UK Passive House Awards for group housing. This 40 minute long video covers the full design process, which may be of some interest to see what’s involved in what we do to deliver carbon neutral passive house design. This 6 minute long video is a Skill Learning case study mostly about passive house construction and air tightness detailing. Please download The Green Building Magazine series of 10 technical ecological articles which cover both the principles and practice of the implemented eco project.